Slavs of New York finally made it to the Ukrainian Museum last weekend to check out the show Ukrainian Sculpture and Icons; A History of Their Rescue (through 28 February), but as it turns out, it was the other show, Crossroads: Modernism in Ukraine, 1910-1930 (through 11 March), that really caught our eyes. Crossroads includes about 65 works from 21 Ukrainian avant-garde artists from private collections and museums throughout the US and Ukraine. The promotional materials feature internationally-renowned artists like Kazimir Malevych and Alexander Rodchenko. 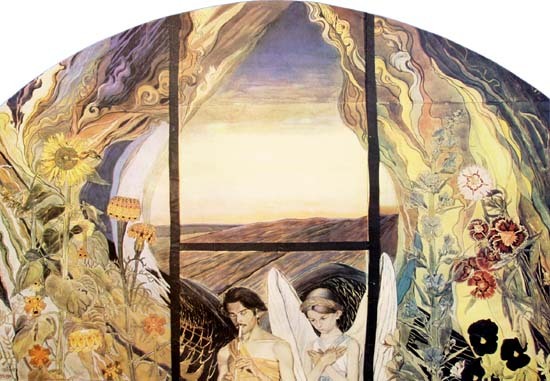 Most interesting, however, were the lesser-known artists and the fact that the exhibition takes in the Ukrainian national variant of Art Nouveau, heavily influenced by the Viennese Secession (western Ukraine at the time was still part of Austria-Hungary). Art Nouveau was popular among Slavs at the turn of the 20th century, and many tried to use the form to create a national artistic style for national groups still dominated by multiethnic empires like Austria-Hungary or Russia. 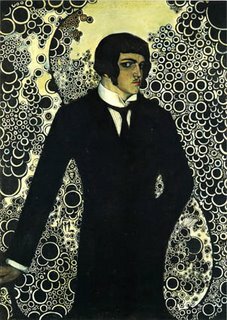 One of the key artists of Ukrainian Art Nouveau was Vsevolod Maksymovych (1894-1914), whose work is clearly linked to the Viennese Secession. Maksymovych must have been something of a turn-of-the-century hipster – apparently he was prominent in both Kyiv and Moscow nightlife. Sadly, he died at the age of 21 after a drug overdose. 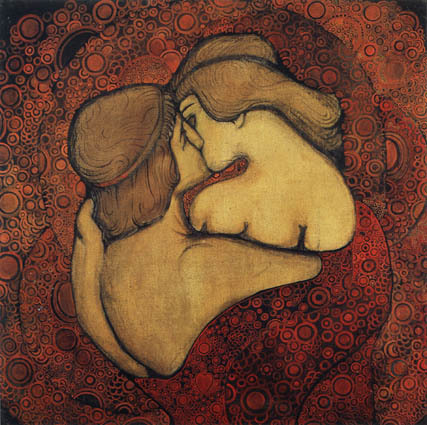 He is represented in the current show by five works, including The Kiss (1913), a reworking of Gustav Klimt’s masterpiece. Also influenced by Klimt was Fedir Krychevsky (1879-1947), who has two works in the show including Love (1925-7), another reworking of Klimt’s earlier work. Mikhajlo Zhuk (1883-1964) is yet another representative of Ukrainian Art Nouveau. His White and Black (1912-4) is an Art Nouveau masterpiece, though unlike the others it does not show links to the Viennese Secession but rather to the French and Belgian forms of Art Nouveau. Though not connected to Art Nouveau, another set of fascinating works in the show comes from Anatol Petrytsky (1895-1964). 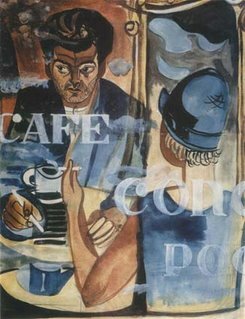 Petrytsky, a Constructivist, is represented by a number of works but the most interesting are three portraits done as part of a larger set of portraits of Ukrainian cultural leaders of the day produced in the late 1920s and early 1930s (M. Semenko, I. Savchenko, P. Kozicky). Many of the portraits’ subjects were killed in Stalinist purges, and the artist destroyed a number of the canvases. Much of what remained were then lost during World War II. The three included in the show offer a tantalizing glimpse of what has been lost. 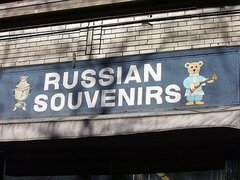 The exhibit runs through 11 March at the Ukrainian Museum (222 East 6th Street between Second and Third Avenues).